Biomimetic peptides boost the production of structural skin components to firm and reduce the appearance of fine lines and wrinkles. Vitamin-rich kale extract, macqui berry and pomegranate enzymes help counter puffiness and dark circles. 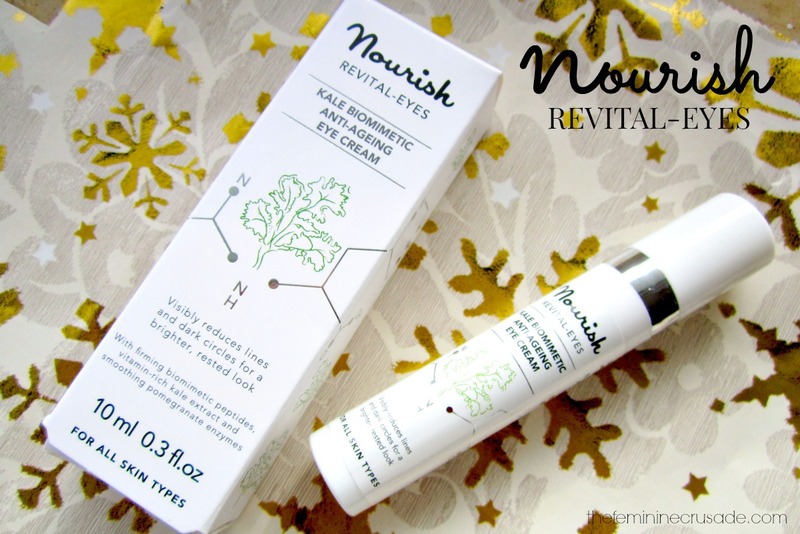 Nourish Revital-Eyes comes in a white pump bottle and contains 10ml of product. There is a never a day when I sleep without an eye cream. Never. My eye area needs ultimate moisturisation, apart from the fact anything that can actually lessen my dark circles even a tiny bit will be added an bonus, not that it happens, ever. I was sent this tiny pump bottle of an eye cream to try by Nourish. 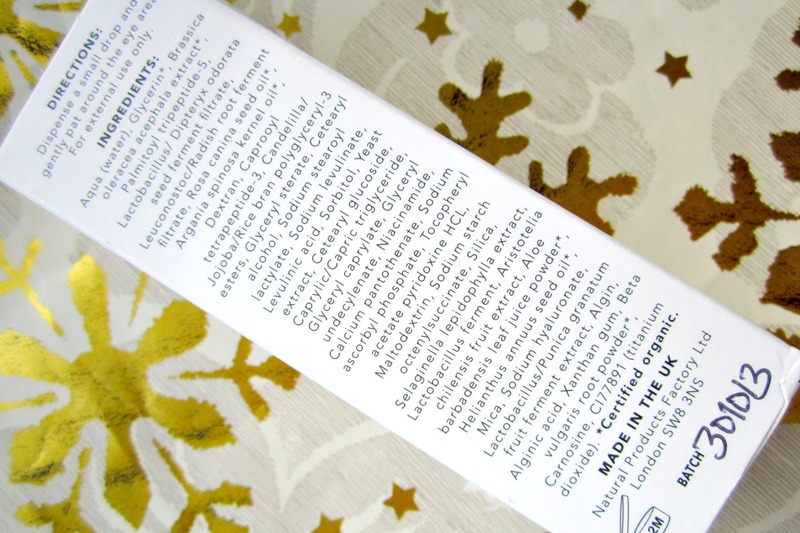 The bottle was small in quantity as well, since the standard eye cream is of 15ml, whereas this one contains 10ml of product. I also am not a massive fan of pump function, no doubt it looks fancy but I believe in the end it tends to waste a considerable amount of product and you cannot always control the amount you get out too. 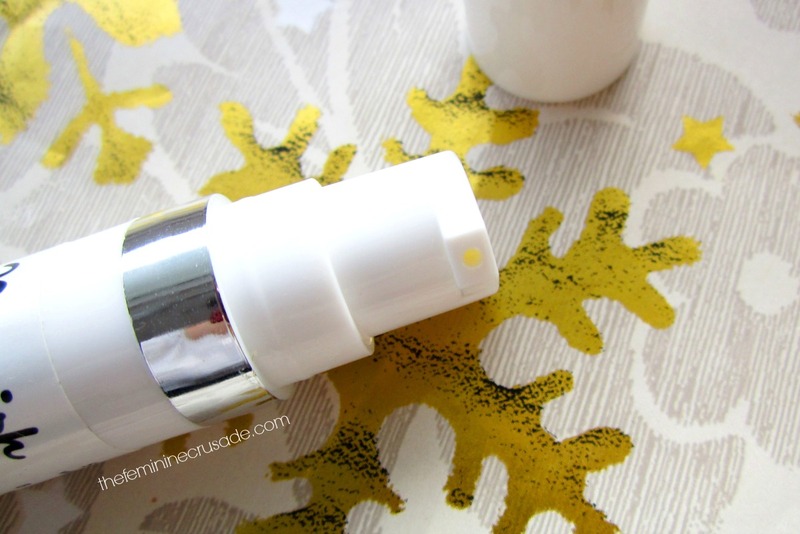 The eye cream itself is a slightly runny cream that absorbs instantly in the skin. 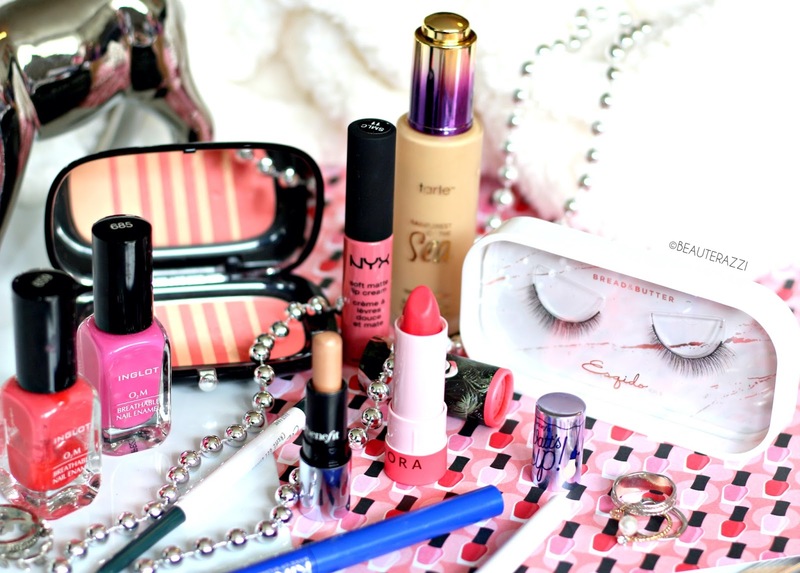 I apply it morning and night and it does make the eye area look more awake. Although I find it to slightly lack in the hydration department. It also didn't do much for my extreme dark circles. As for its anti-aging properties, I can't really comment on that since I don't have fine lines or wrinkles. Revital-Eyes is packed with amazing ingredients like kale extract but sadly it doesn't do much. 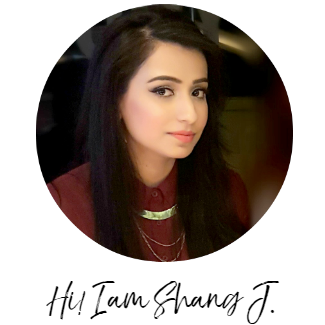 I don't expect creams to do miracle on my dark circles, because none do. The least I want from them is to be super hydrating and not expose any dryness. The milk-like texture of Nourish Revital-Eyes does not provide that. Therefore, I also find it overpriced. Nourish Revital-Eyes is best suited for the young skin that does not demand too much hydration. But its hefty price tag makes it slightly unaffordable.